By remembering Cheltenham Festivals in your Will you can ensure that future generations are as inspired by the Festivals as you are today. Leaving a gift to charity in your Will is a very personal and generous act. It is an opportunity for you to support the causes that have been dear to you and your loved ones during your lifetime, to ensure that they continue to thrive into the future. A gift in your Will can make a lasting legacy on our work. 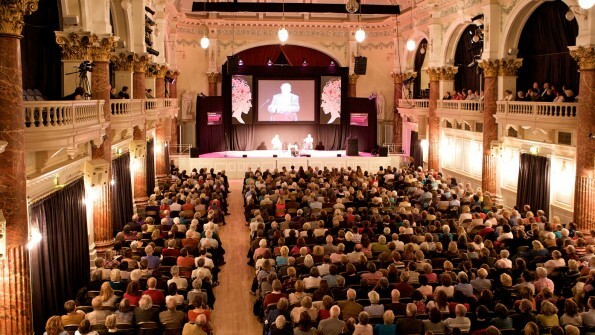 At Cheltenham Festivals, we rely on the generosity of our audiences, supporters and sponsors to enable us to craft our richly diverse programmes to bring the best of, to create unique experiences, invest and develop new talent and inspire young people through our year round outreach programmes. We understand that your loved ones are your priority and that you will want to ensure your family and friends benefit from your Will first. If you then choose to make a gift to Cheltenham Festivals, however large or small, you can be assured that this vital support will have a tremendous impact on our charity. We hope you will consider pledging support for Cheltenham Festivals in your Will. Cheltenham Festivals have been a huge part of my life, giving me so many memorable experiences. By leaving a gift in my will I know I have played my part in the Festivals’ future, and that many more people will be inspired by Festival events.